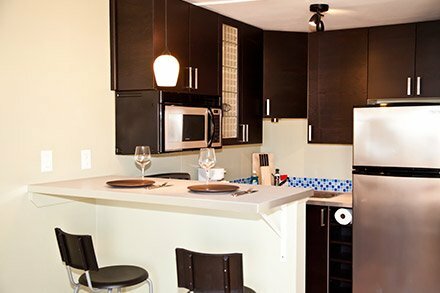 Centrally located in the Flagstone Boutique Inn & Suites, Peekaboo Canyon Wood Fired Kitchen offers artisanal pizza from our wood fired oven along with a full menu of international and locally inspired dishes. 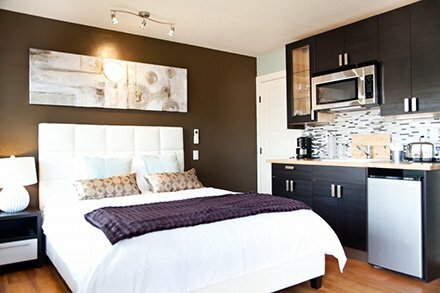 Every room at The Flagstone Boutique Inn and Suites has been carefully appointed so that your stay is as relaxing as you need it to be. 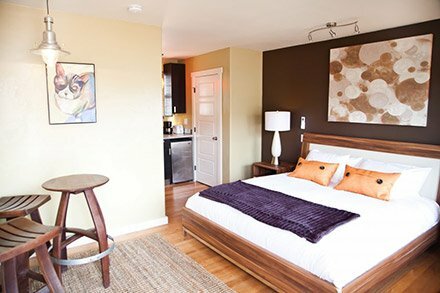 Located in the heart of Kanab, these boutique-style accommodations are only minutes from Best Friends Animal Sanctuary and an easy drive to the area’s spectacular National Parks like Bryce Canyon and Zion. Pets attended are always welcome! Wireless high speed internet – Free! 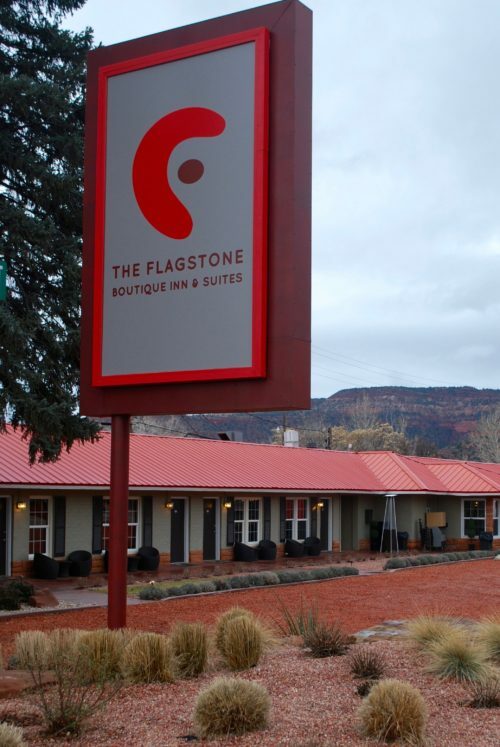 Every guest staying at The Flagstone Boutique Inn & Suites receives a discount during the entire length of their stay to our on-site restaurant, Peekaboo Canyon Wood Fired Kitchen. You will be given instructions on how to redeem this offer upon check-in. 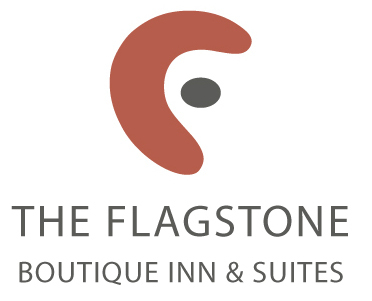 At 3:00pm located at the The Flagstone Boutique Inn & Suites, 233 W. Center St. Learn more about our policies by clicking here.